Description: Secure luggage, camping and cargo gear with this heavy-duty Stretch Cargo Net in Black for the Canyon™. 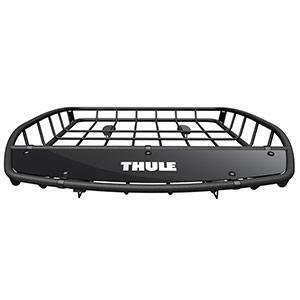 Roof Basket by Thule®. Associated Accessories, non-GM warranty. Thule®. Provides a 3-year/36,000-mile manufacturer's warranty..